Tajikistan's Quairokkum plant is being fully refurbished and capacity is expected to increase by 174 MW. The European Bank for Reconstruction and Development (EBRD) and the Green Climate Fund (GCF) have agreed to provide a US$ 88 million financing package to Tajikistan’s state-owned power utility Barki Tojik to complete the rehabilitation of the 126 MW Qairokkum hydropower plant. The new financing, comprising loans of US$ 38 million and US$ 27 million from the EBRD and GCF, respectively, and a US$ 23 million GCF grant, will fund the second and final phase of the rehabilitation of the 60-year old storage plant, which is located on the river Syr Darya, near Kayrakkum in the northwestern province of Sughd. The EBRD had previously provided a US$ 50 million loan alongside financing from the Climate Investment Funds’ Pilot Programme for Climate Resilience for the first phase of the US$ 200 million project in 2014. 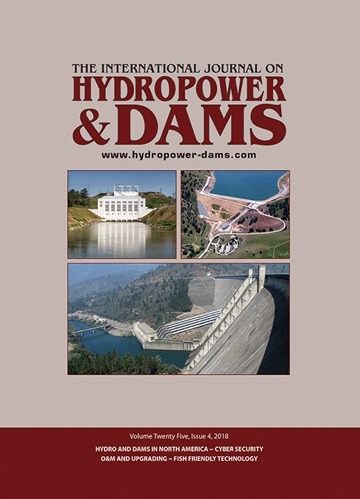 The new financing will cover the cost of rehabilitation of the powerhouse and concrete dam, the supply and installation of hydraulic steel components, hydro-mechanical and electro-mechanical equipment for the last four of six 21 MW units, as well as installation of additional safety monitoring equipment, balance of plant, control systems and transformers, together with implementation of improved operational procedures to promote resilience to climate change. The second phase was scheduled to begin after the replacement of the first two units in the first phase, but as the procurement process for the first phase was ongoing, Barqi Tojik opted to seek bids in one single tender for the supply and installation of all hydro-mechanical and electro-mechanical equipment as well as hydraulic steel components, rehabilitation of the powerhouse and dam and associated civil works. A general procurement notice was issued in October 2017 with bids expected by October 2018 (See H&D Issue 6, 2017). The full rehabilitation will increase the plant’s installed capacity to 174 MW as well as incorporate innovative climate resilience measures enabling the plant to cope with the expected impact of climate change on the hydrology of the country and continue to supply reliable sustainable electricity for consumers in Tajikistan. As 98 per cent of Tajikistan’s electricity originates from hydropower, climate change is expected to affect the ability of these plants to generate electricity in the future, with knock-on effects on the population’s living standards and the economy as a whole. Commissioned in 1959, Qairokkum is equipped with six double-regulated 21 MW Kaplan turbines and was designed to generate on average 700 GWh/year. Most of the plant’s mechanical, electrical and electronic components have reached the end of their lifetime, resulting in more regular breakdowns, and significantly reduced output. 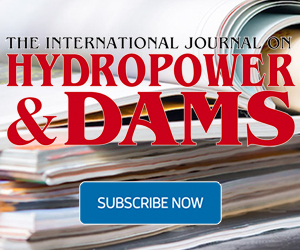 Many of the country’s hydropower plants, which were built in the 1960s and 70s, are operating well beyond their design lives, with capacity availability impacted by insufficient maintenance and a lack of funding. According to a World Bank report, about 60 per cent of the current capacity should be rehabilitated by 2020 and about 80 per cent by 2030. In the absence of rehabilitation, firm capacity could fall from the current level of 2100 MW to 760 MW by 2030. Rehabilitation is recognized as the most cost-effective and quickest short-term solution to the country’s power supply issues. The Zaña run-of-river hydro plant will be built in the Upper Zaña river basin and will have a capacity of 13.2 MW. Technical pre-feasibility studies are being carried out at five sites on the Luapula, with the award of the development contract set for 2021, following finalization of a feasibility study and environmental and social impact assessment.